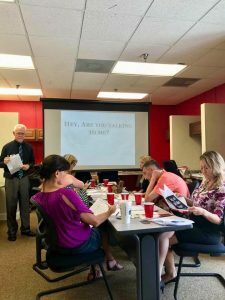 RE/MAX Dream had another successful lunch and learn last Thursday with special guest Mark Ledbetter from Marketplace Home Mortgage. We learned how to relate successfully to other people in the real estate market using the DISC method of understanding different personalities. It was a lot of fun and informative and we look forward to having Mark back soon. Also, thanks to Steve Bray from iMold for the pizza!